Last year, for the Disney Social Media Moms conference, B and I made business cards for us to hand out. Of course, we made far more than we needed, but that was fine. A few months after DisneySMMoms, we went to BlogHer in New York City and more business cards were handed out. During BlogHer, I carried around a bunch in my camera bag (which, I joked, served as my “purse-alternative”). Once BlogHer was over, the remaining business cards… well, remained. Some in my wallet and some in my camera bag. Over the months, these cards have become a bit frayed. The corners aren’t crisp anymore and the cards themselves look slightly used. Obviously, I don’t want to hand these out to people. It doesn’t look too professional to hand over a business card that looks like it has been sitting in your pocket for the past six months. Then again, I don’t want to just throw these cards out either. After all, I did pay for them and would like for them to serve some purpose besides wallet-filler. The obvious use would be to toss them into “Win A Meal” jars in various restaurants. Beyond this, I’m drawing a blank. 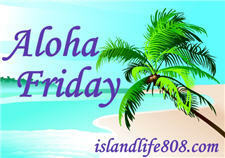 My Aloha Friday question for today is: What would you do with a fist full of frayed business cards? I just started with the business card thing. Seems like I need more than one.